Souls did not die, they rested in Mictlan. Her role is to keep watch over the bones of the dead and she presided over the ancient festivals for the departed. She and her husband, the King of Mictlan, were depicted as skeletons and lived in an underworld of bats, spiders and owls. Another icon of DDLM is La Catarina. She is originally found in a 1910 zinc etching by Jose G. Posada, Mexican printer maker and cartoonist. 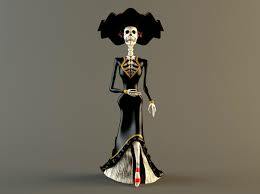 Later La Catrina was stylized as a female skeleton dressed in a hat befitting the upper class outfit of a European of her time. Her hat originally is related to French and European styles of the early 20th century. She is meant to portray a satirization of those Mexican natives who the artist, Jose Posada, felt were over embracing European traditions of the aristocracy in the pre-revolutionary era. DIego Rivera’s “portrait” of Catarina popularized her in this 1946 mural. The Kid-Diego Rivera. Wiki Creative Commons Lic. The spirits of the deceased are thought to pay a visit to their families during DoD and the families prepare an altar, another icon, for them. 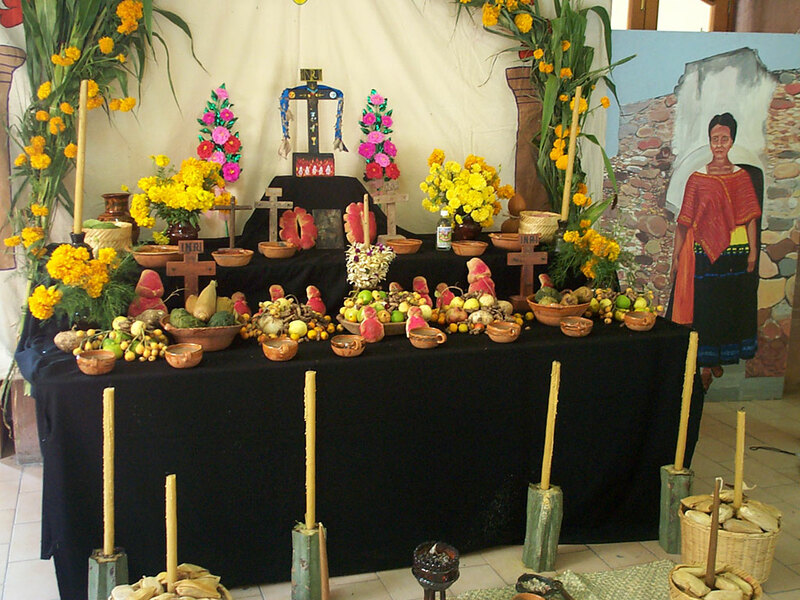 The altar is used to hold offerings, or ofrendas, for the departed. Their favorite foods, photos, and mementos are often placed on the altar together with items the deceased enjoyed: toys, candy, liquor, hobbies, etc. A bar of soap, towel, bowl of water and other grooming items are traditionally left at the altar with the belief that the dead have been on a long journey and would like to refresh themselves. An icon that celebrates the indigenous roots are the Four Elements: wind, water, earth and fire are often represented on the altar. Wind is sometimes signified by papel picado that moves in the breeze. Candles depict fire, food represents earth, and liquids represent water. The cempasuchitl (Mexican Marigold) is an Aztec tradition, and another icon, which says that the twenty-petal flower attracts souls to the altars. In the last ten years, Day of the Dead celebrations include both traditional and political elements, such as altars to honor the victims of the Iraq War. 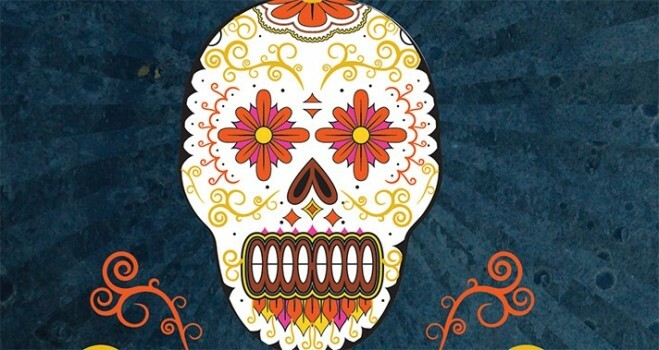 There are updated, inter-cultural versions of the Day of the Dead such as the event at the Hollywood Forever Cemetery, (a very cool website). This year the Smithsonian Institute has a celebration-on 3D! The DDLM’s has become more widely known and accepted. Although I didn’t grow up with DDLM’s, I did grow up with small altars in our home, where we did have statues and prayed for the departed throughout the year. This was more in the tradition of Catholicism. This year, like the last three years, I’m attending a DDLM party at the Ventura County Museum, which features crafts, altars, drinks and dancing. 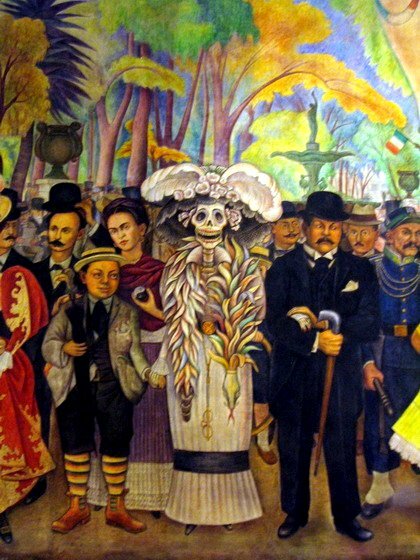 Whichever way you honor your loved ones and those who have departed, may you have a memorable Dia de los Muertos. Excellent explanation, Mona. Another tradition for my family in Mexico and for many families was for the entire family to go to the cemeteries which were in the outskirts of the cities and clean the graves of their loved ones. They’d pack their lunches for the day, take their tools to clear weeds and scrub gravestones, arrange new flowers and pray for the departed souls. Lighting candles into the night they would invite them to party together! 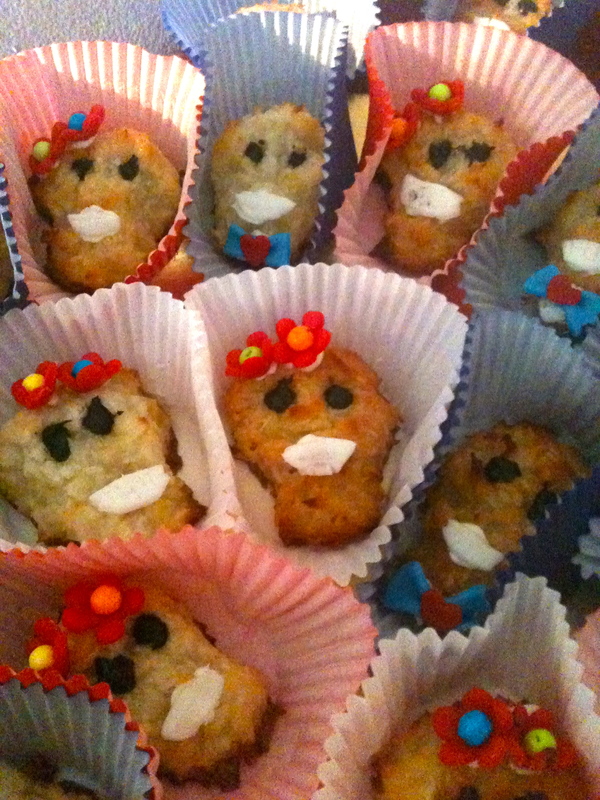 Once a year they would celebrate like this on Nov 1 (for children who had died) and Nov 2 for adults. Both my parents remembered these rituals and told me their stories. That is another loving tradition. Thanks for adding this information to the post. Thanks for the background behind this, Mona. I saw a kid dressing up like one of those colorful skeletons during a school parade yesterday. Your welcome. I’m always curious about others customs too.